Win tickets to the inaugural Speedmachine Festival! 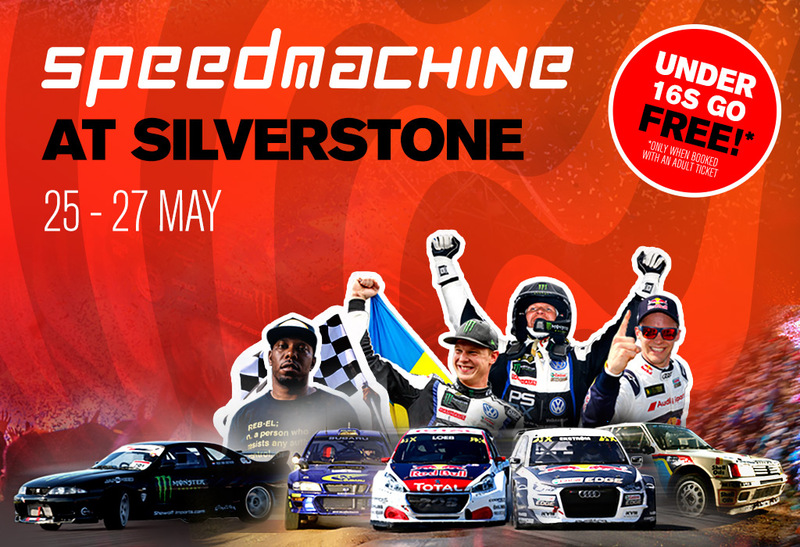 Fancy winning your way into Speedmachine Festival and seeing the Volkswagen R DiRT World Championships in the flesh? You’re in luck – we’re giving away six pairs of tickets away! We have two pairs for Instagram, two pairs for Facebook, and two pairs for Twitter too – so all you need to do is head over to our official DiRT channels before 11th May to ensure your entry. After the 11th, two winners on each platform will be chosen at random, and we’ll get in touch with the lucky winners ASAP to ensure your tickets arrive in time! If you’d like to know more about what to expect at the inaugural Speedmachine festival, check out the official festival site speedmachine.com. 2. The competition is open to residents of the United Kingdom aged 18 years or over except employees of Codemasters Software Company Ltd, their close relatives and anyone otherwise connected with the organisation or judging of the competition. 5. Route to entry for the competition and details of how to enter can be found on the official Verified Twitter, Instagram and Facebook accounts. 7. Closing date for entry will be 16:00 BST on 11th May 2017. After this date the no further entries to the competition will be permitted. On Twitter, entrants will need to Follow the official DiRTgame account and Retweet the given competition tweet. On Instagram, entrants will need to Follow the official DiRTgame account and Like the given competition post. On Facebook, entrants will need to answer a question correctly on the given competition post to go through to the prize draw. Two winners will be picked at random from each social media platform. 2x tickets to the Speedmachine festival. There are 6 pairs of tickets up for grabs: 2 x 2 tickets to Speedmachine per platform (Twitter, Instagram and Facebook). Codemasters Software Company Ltd‘s decision as to those able to take part and selection of winners is final. No correspondence relating to the competition will be entered into. The entrant must be following @dirtgame on Twitter in order to enter. On Instagram, the entrant must be following @dirtgame on Instagram to enter. Codemasters Software Company Ltd shall have the right, at its sole discretion and at any time, to change or modify these terms and conditions, such change shall be effective immediately upon posting to this webpage. Codemasters Software Company Ltd also reserves the right to cancel the competition if circumstances arise outside of its control.